There probably isn’t a household in Australia that doesn’t have Panadol in the medicine cabinet. It contains paracetamol, not ibuprofen or aspirin, so you can use Children’s Panadol from as young as one month of age, which makes it popular with parents. 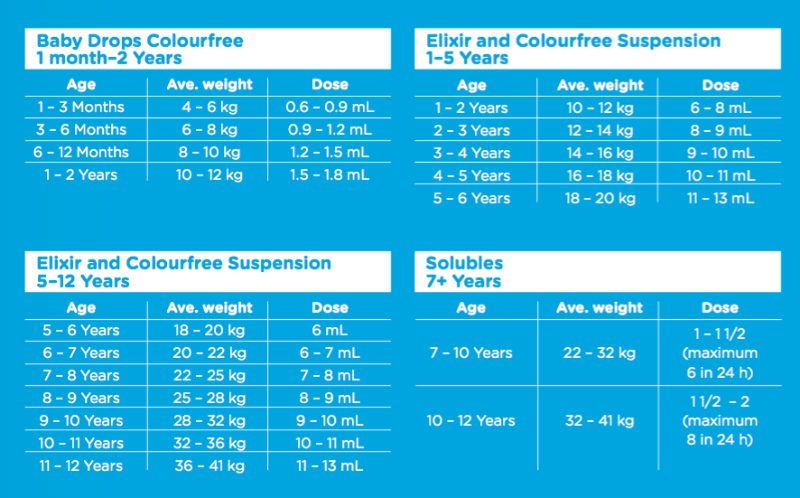 We’ve put together some handy instructions on how to calculate dosage for kids, based on weight – so you can be sure your child gets the right dose for them, whether they’re tiny or tall for their age! The recommended dose for Children’s Panadol in children under 12 years is 15 mg of paracetamol for every kilogram of bodyweight. 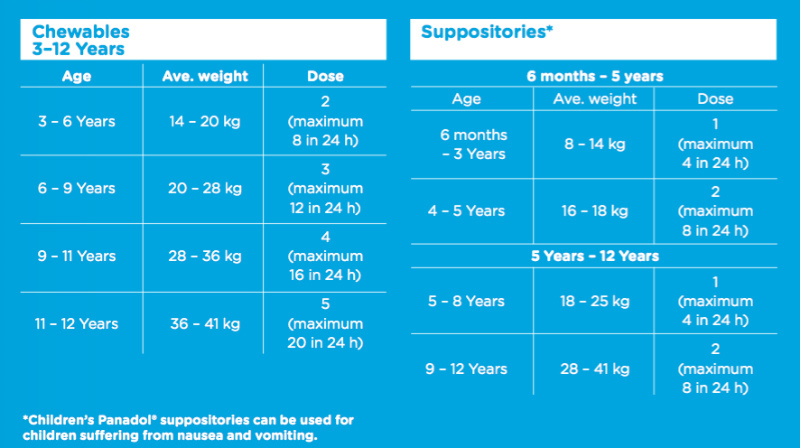 Children’s Panadol is gentle enough to dose every four to six hours if necessary. Do not give more than four doses in one day or within any 24 hour period. Children’s Panadol is not recommended for infants under one month. You can also download the Children’s Panadol smart phone app for Android or iOS which includes a Dosage Calculator. For more information visit Children’s Panadol. Children’s Panadol is suitable from one month of age. ALWAYS READ THE LABEL. Use only as directed. For the temporary relief of pain and fever. Incorrect use could be harmful. Consult your healthcare professional if symptoms persist. Seek medical attention for children under three months.